item the protection and conservation that it deserves. We know that sending a special photo to a friend, colleague or loved one makes for a special, thoughtful gift. Just imagine how much more joy you could bring if you placed that special photo in a lovely ready-made frame. At Fairview Photo Lab, we carry a wide range of ready-made frames in a variety of shapes, colours, sizes, finishes and styles from classical to modern. No matter if it is a portrait, a painting, a certificate or other valued keepsake, we have the right frame for you and your project. Each of our frames offers high quality craftmanship that will highlight your mantle, desk or table and you will be proud to display. Your framed photos will become a conversation piece. Our ready-made frames will also all you to indulge your creative side. Instead of placing just one photo in a ready-made frame, why not create a photo collage to inspire memories of family, friends and special times spent together? Visit our Fairview Photo Lab location in Brantford. Our helpful and knowledgeable staff will showcase the perfect frame to perfectly display your photo, collage, souvenir or memento. You will also want to visit your nearest Fairview Photo Lab location to choose the perfect photo album to store your treasured family photos safely and securely. 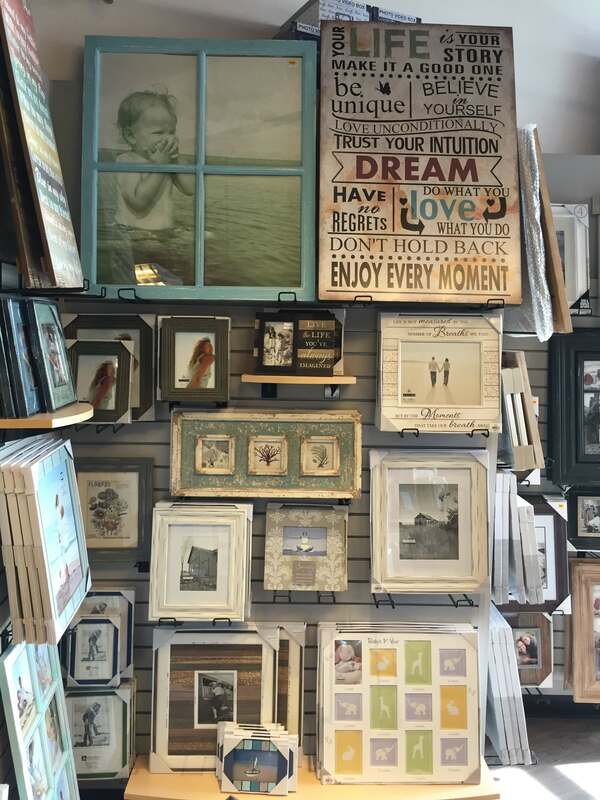 Our stores also carry a fine selection of inspirational barnboard signs which will add a decorative flair to your home or office.